Experts assure that powerful solar storms are not dangerous from a health perspective, but will create havoc in the technological sector. A few weeks back, a research report published in the journal Proceedings of the National Academy of Sciences had revealed that a powerful solar storm swept past the Earth approximately 2700 years ago. The study report claims that the solar storm might have hit the Earth in 660 BC, and the damages inflicted by the solar proton event (SPE) were very less, as it was a pre-industrial and pre-technological era. In the study report, researchers predicted that such powerful solar storms could hit the planet in the future, and if it happens, it would create havoc in all nooks of the planet. As the world is so much dependent on various technologies in this 21st century, a powerful solar proton event could destabilize all these systems, thus pulling the planet to a state of virtual darkness. "If that solar storm had occurred today, it could have had severe effects on our high-tech society. That's why we must increase society's protection against solar storms," said Raimund Muscheler, a geologist at the Lund University in Sweden. 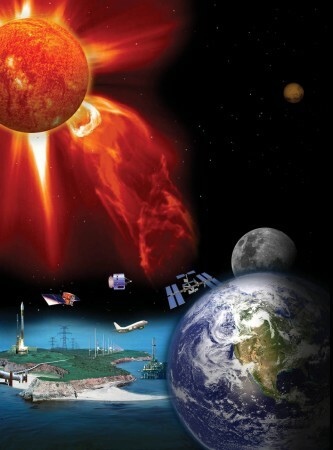 These solar storms could literally disrupt the proper functioning of satellites, which will, in turn, affect technological infrastructure including communication and navigation. Adding up the tension, these solar storms could also affect the physical health of astronauts at the International Space Station (ISS). While in the ISS, astronauts are not safeguarded by the Earth's atmosphere, and as a result, they will be exposed to harmful radiations. Will solar storms harm humans living on Earth? These solar storms are not that dangerous from a health perspective. As per NASA, harmful solar radiations ejected during a solar proton event could not pass the Earth's atmosphere to harm the health of living beings on the planet. It should be noted that regular intense solar storms could damage the ozone layer, and this will have moderately bad effects on living beings on Earth. Experts have also assured that these solar storms will not result in a mass extinction event.